Top Card Trumps - Play Online - Casino Answers! The game is played using a series of themed cards, each pack being based on a certain subject such as sports, animals and cars. The game can be played by two or more people, with the object being to win all the cards. The packs vary in size depending on the preferences of the players with 30, 32, 48 and 50 cards being the most common pack sizes. Each card presents one object that represents a theme and a list of 5 to 8 attributes (e.g. speed, power and height) with numerical values. At the beginning of the game, the dealer deals an equal number of cards to each player. The players receive their cards in a face up stack, with the first card only visible to the respective player. The starting player chooses one attribute which he reads out to the rest of the players. The remaining players then read the value related to that attribute as it is displayed on their top card. The player with the highest value claims all the top cards from the other players and puts them under his own stack. The person who wins then chooses the next attribute and again, the person with the best values related to that attribute on their top card collects the top cards from other players. The process is repeated for more turns, and when any player runs out of cards, they have to leave the game. Eventually, one player will be left with the cards of all the other players. That is the person who wins the game. Depending on the nature of the packs, it is for the best value of an attribute to result in a tie. In case of a tie, the players put their cards in the center of the table and the player whose turn it is to call an attribute calls a new one. The player who wins the new round takes the pile placed in the middle of the table in addition to his own winning cards. In other cases some cards do not any data for certain attributes. If one or more player has “no data” for the chosen attribute, the players again place their top cards in the middle of the table. 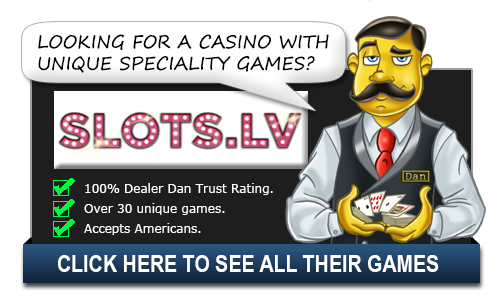 In Betsoft’s version of the game, the player plays against the dealer and can bet on up to three spots per game. The cards are dealt from a six-deck shoe. The bets vary from 1.00 to 100.0 per seat for the Ante bet. Bets at each seat do not have to be the same. Bestsoft’s mastery in designing the visual aspects of their casino games is again evident from the interface of the Top Card Trumps game. It uses realistic graphics and smooth animations which are accentuated with awesome music and sound effects to enhance player experience. Playing one on one with the dealer may water down the experience a bit compared to playing against more than two other players. However, it still provides a great kick and a welcome break from other card and slot games. There are many tactics that can help you win at Top Card Trumps and a good memory is key. In the early turns of the game you should try to remember your own cards as well as those that opposing players display. That way when it is your turn to call, you can pick an attribute based on what is best for you.